Monica Bitrick, CEO of Bitrick Consulting Group (and a frequent contributor to BizMojo Idaho), has been named a 2015 Accomplished Under 40 honoree by the Idaho Business Review. This is the 16th year the Idaho Business Review has recognized professionals under the age of 40 who have made big differences at work and in their communities. More than 200 people were nominated, and of those 90 completed the application process. 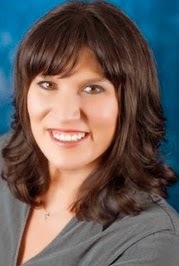 Bitrick came to Idaho Falls in 2007 to be director of human resources for Advantage Employer Solutions. Before that, she was employed by Manpower International and Workscape, Inc. in Boise. She holds a bachelor’s in business administration (general business administration and human resources management) from Boise State University. She started her own company in 2013, and is also a founder to the Square One business development network. She also has done volunteer work with non-profit organizations, including the Suicide Prevention Action Network of Idaho. She is a member of Idaho Falls Rotary, and serves as Bronco Contact for southeast Idaho with the Boise State Alumni Association. Previously, she served as the chair of the Military Affairs Committee, Young Professionals Network, Distinguished Under 40 Awards Program, and the Greater Idaho Falls Chamber of Commerce's Fourth of July Parade. She is an active volunteer with EITC Foundation and Calvary Chapel Christian School. Bitrick’s accolades include the “Accomplished Under 40 Award” from the Greater Idaho Falls Chamber of Commerce, Service to Others Award from the Military Affairs Committee, and the POW-MIA Recognition Award from the Veterans for Foreign Wars. For a full list of honorees, follow this link: 2015 Accomplished Under 40.